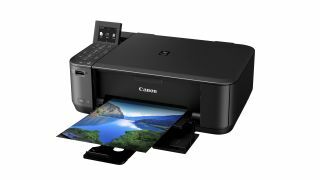 Canon has refreshed its range of Pixma scanner and printer combos, to include four new budget models. The printers are the first models Canon to include My Image Garden as standard, which combines all the software currently available for Canon PIXMA printers into one single interface. Also included in this software is a range of new advanced features, such as Automatic Suggestion (which suggests images for printing), Automatic Layout and Face Recognition. The printers are compatible with Print Your Days, a new Facebook app that has been designed to make it easy to send and print photos directly from the social networking site. All of the new printers feature Auto Power Off and a new Auto Power On setting, which makes printing from a powered-down state quick and easy. Documents or photos can also be sent from a wireless device and printed without the need to manually switch the printer on or off. The Pixma MP230 has been designed for first-time printer owners, while the MG2250 is more advanced, featuring an LCD display and the ability to print 10x15cm borderless photos in less than 45 seconds. Meanwhile, the MG3250 includes the same features as the 2250, but can boast quicker printing speeds and built-in WiFi. Finally, the MG4250 is the most advanced of the group, with a 6.2cm TFT display, built-in Wi-Fi and the Pixma Cloud Link with Google Cloud Print. The new Pixma prices start at £44.00 (approx. $70) for the MP230, ranging up to £79.00 (approx. $125) for the MG4250. All of the new printers will be available from September 2012.